Now available in the US: Tales of life in Old Shanghai abound: stories of the privileged, wealthy lives of the Westerners who settled there, or the upper class Chinese who were to later face reversals of fortune in the turmoil of the Cultural Revolution. But rarely do we hear the voices of the silent majority - the common citizens who struggled to eke out an existence in the slums of Shanghai, just blocks away from the glitter and glamour that fills the pages of most accounts of pre-Liberation Shanghai. The poor of the era have found a voice in George Wang. 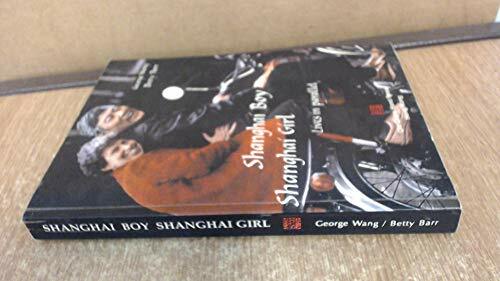 In his book _Shanghai Boy, Shanghai Girl: Lives in Parallel, _co-written with his British wife Betty Barr, Wang tells his family's story, from his birth in 1927 until the day Communist soldiers marched into his city and quietly took possession. The reader certainly gets a feel for the outline of the historical events of the time - and Wang himself was there. But the real strength of this book is the unfolding story of a family who lived through those difficult times. In unsophisticated prose, Wang describes the streets of his rough working-class neighborhood in southern Shanghai. Boyhood games, pet crickets, and the smells of delicious street snacks fill the pages. His narrative reads like a man passing on his life, as if the reader is privy to the bedtime stories shared with his children. The voice gains confidence as Wang tells quietly and powerfully of the realities of the crushing poverty his family bore - poverty so overwhelming, so hopeless, as to leave a mother no choice but to either abandon her family or sell a beloved daughter. The author confesses to shedding tears as he writes of those dark days, and the reader cannot help but grieve along with him. No trace of whining or bitterness can be heard in this voice. Instead, what rings through it all is the deep dignity and strength of Wang's parents - and the sacrificial love that saw this family through tough times.